The nature of this proposed project means that it addresses issues in both the stated horizontal and sectoral priorities. The work supports the 2011 EU Modernisation Agenda in that it contributes to supporting innovation and creativity through partnerships and and in so doing enhances the quality and diversity of higher education. 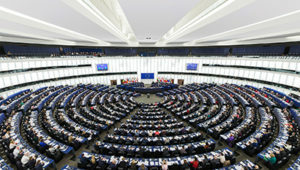 In addition the proposal seeks to ensure that education and research in the subject area of social enterprise and the international trading of its goods and services are mutually reinforcing and advancing the teaching of the topic in formal and informal courses of higher education and vocational training. The proposal also supports the 2013 Communication on Opening up Education by promoting the development of new modes of delivery and exploiting new technology in providing open access blended e-learning tools for use by learners in a context that is appropriate for their circumstances. The open access nature of the outputs of the project together with the nature of the project participants means that the project also addresses issues in the promotion of work based vocational learning and training that is focused on stimulating innovation and entrepreneurship. The educational background of the project participants drawn from northern, central, southern and eastern Europe enable the project to also address the promotion of entrepreneurship education in the context of social enterprises remaining sustainable. Thus the pan European and cross sector work in this project supports the smart, sustainable and inclusive growth priorities set out in the Europe 2020 agenda for nation states by addressing the following flagship issues: research that seeks to develop innovative products / services that promote enterprise, jobs and growth in the field of social enterprise; the improvement of the quality and internationalisation of educational systems that facilitate the development of knowledge and expertise of social entrepreneurs looking to internationalise the trading of their goods and services via digitally enhanced open access learning materials and e-tools that are designed to be delivered at differing levels of engagement on a cross sector basis of higher / further and vocational education and adult training; the improvement of the business environment for SMEs engaged as social enterprises through the development of an innovative e-framework for international trading practices and appropriate business models; the multi-media learning and training materials for in house training and in so doing enable the more sustainable social enterprises business organisations to promote wellbeing and regeneration in both urban and rural areas of social disadvantage.